Rejoice on the Fourth Sunday of Advent! God is Giving Us Christmas! This reflection is the fourth in a four-part series that supplements the free Advent prayer journal I am offering to email subscribers. You may read part one HERE, part two HERE, and part three HERE. One more day, and we will be celebrating the birth of Jesus. Ready or not, Christmas is almost here! This Advent, we may have started out a bit weary, a bit sorrowful, a bit worn out. We heard Jesus’ invitation to come to Him for rest, and we rested in His love, peace, and grace. Along the way, we took time—even if it was a little bit here and there—to be still in Jesus’ presence. To receive all that He wanted to give us this Advent: rest, renewal, peace, and hope. As we traveled the slow pilgrimage to Bethlehem with Mary and Joseph, we experienced a purpose in our waiting for the Messiah. We discovered that waiting for and with the Lord is meaningful and fruitful. We draw closer to the Lord, and we realize that we’re not alone. Ever. Today, our joyful expectation increases, as we light the fourth candle on our Advent wreath, even if it’s only once, for only a few hours, before the birth of our Lord breaks into the world with angels singing and all of Heaven adoring. Do you have any last-minute things to get done today? Are you (still) feeling exhausted, as you finish things up and try to enter into what we’ve been longing and waiting for? Are the kids bouncing off the walls with excitement, while you try to find a moment or two of peace and recollection? I admit that I fight anxiety on a daily basis. I try to be mindful of remaining in God’s presence and savoring these last Advent hours. But for me, anxiety can well up pretty quickly. And in my anxiety, I can get discouraged that I still have a few more things to do. Shouldn’t I be done by now? Why didn’t I plan better? And all the while, I am just so, so ready to come to the manger and just be with the Holy Family. So, on this last Sunday of Advent, I remember Jesus’ invitation to, indeed, come. No matter what is still left to do, what is most important is that I come … I still my anxiety … I wait with the Lord in hope … and I rejoice. Christmas is (almost) here! 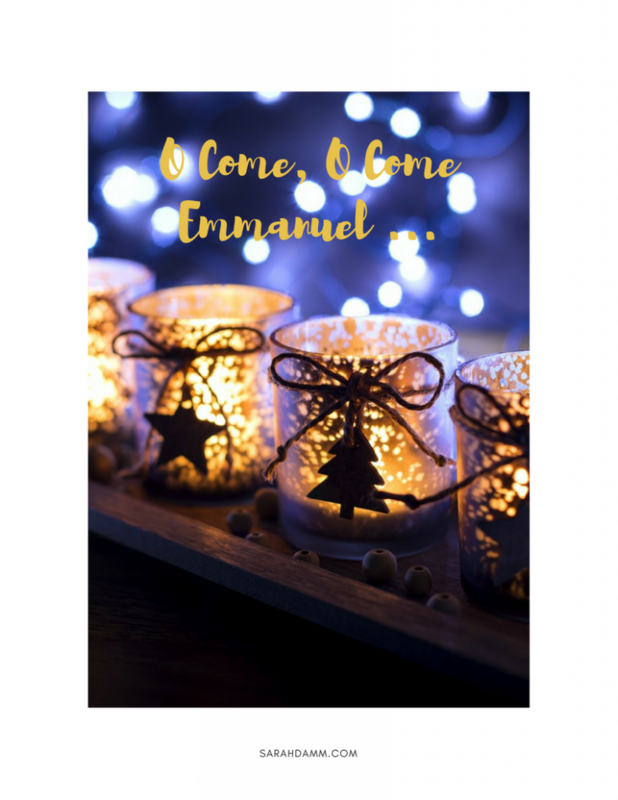 O come, O come Emmanuel! God is with us! Let us adore and rejoice! Click HERE for this week’s free printable. Joy to the World! It’s Christmas! The Lord is Come!